Welcome to Lazy Bear Cabin! If you are looking for seclusion, views, and a convenient location, Lazy Bear is the cabin for you!! The cabin has been newly updated and even has a brand new large hot tub that sits on a totally private covered deck with mountain views, a relaxing swing and no one in sight!! 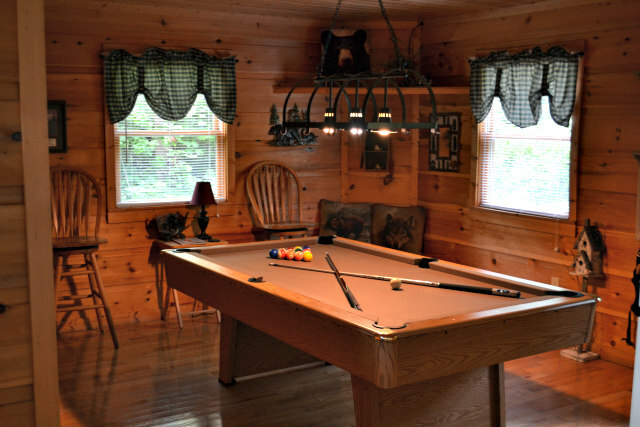 Be sure to check out Lazy Bear’s Facebook page to see many more great photos of Lazy Bear Cabin! 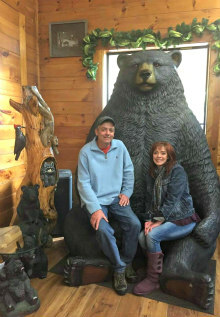 You will enjoy the woodland creatures decor throughout the cabin, bears, raccoons, wolves, moose, owls and more!! We even decorate for Christmas! We will put up a charming Christmas tree filled with woodsy creatures, pine cones and more. It’s great! As you drive to the cabin, you will see the breath-taking views of the rolling Little Pigeon River! 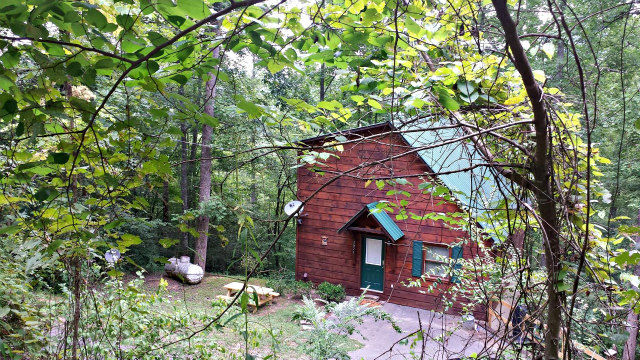 This beautifully decorated cabin is located between Gatlinburg (10 – 12 minutes) Pigeon Forge (15 minutes) and only 7 minutes to the grocery store, restaurants, the popular Arts and Crafts Center and awesome scenic trails.